Mirfield Mill Carpets is an independent, privately owned family business with over 25 years’ experience that offers flooring solutions for all your needs, in every room in your home. With traditional and local values, our goal is to make your entire flooring installation straightforward as possible and stress-free. We know how challenging it can be to visualise, select and purchase carpet & flooring, and we will work hard for you to make the process as easy as possible. At Mirfield Mill Carpets, we only work with local and national trusted suppliers, so we can provide you with the highest quality products and great customer service every time. We have established strong relationships with our manufacturers and distributors of floor coverings, allowing us to pass on the advantages directly to you. At Mirfield Mill Carpets, we want to save you time and money when choosing and shopping for carpet or flooring – and we want to make it easy! We genuinely believe you should have the best experience possible and we tweak our customer service constantly to make sure your experience is amazing - and amazingly simple. Graham has been in the flooring trade for over 25 years and is passionate about all types of home flooring. Graham's core value is integrity, and nothing is too much trouble to meet and exceed the customer's needs. Please feel free to link with Graham on LinkedIn. 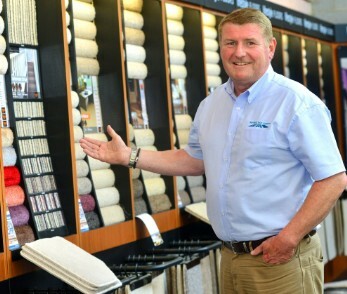 On August 4th 2014, Graham launched Mirfield Mill Carpets, which supplies and fits carpets and flooring to the domestic market. Graham manages the operational direction of Mirfield Mill Carpets, working closely with the associate suppliers, craftsmen and fitters, and is involved in daily running of the business. Alternately, please feel free to call Graham on his mobile number 07724 462025. Please phone for our 'out of hours' service.